5 Plan your next trip and save time. If you are thinking of buying a home in Spain, you’ve probably started to do some research on the Internet. You will have seen websites, real estate agency pages and even big real estate portals like Idealista, Fotocasa and Rightmove Overseas. So, why bother going to a property exhibition? Here are five good reasons why going to a property exhibition will help you to find the home you are looking for, even though you might enjoy searching online. Most real estate agencies and developers go to the main property exhibitions in their target markets. 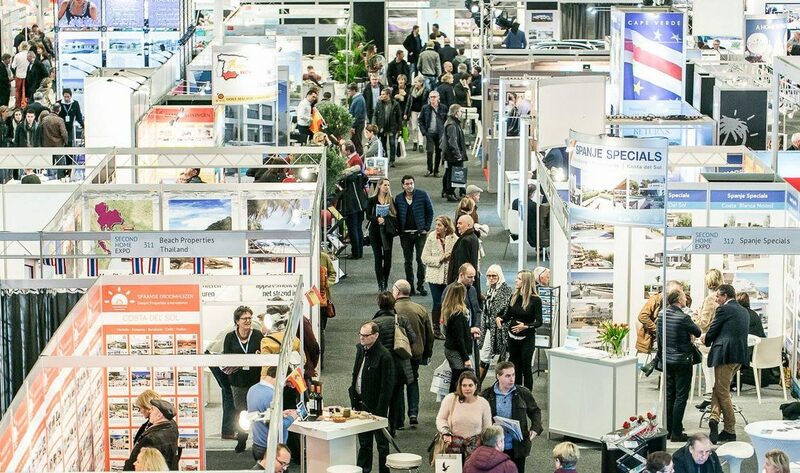 Property exhibitions tend to be a great opportunity for professionals “to get the mountain to come to Mohammed” before the summer or holiday season. If you’ve already contacted a real estate agency, ask whether they’ll be at any of the property exhibitions taking place in your country. However, the chances are that they’ll send you an invitation. A person-to-person meeting may help to clear up any doubts, not only about the property that has caught your eye, but also the agent you’re dealing with. These events tend to attract big crowds, so it might be advisable to make an appointment with the person you need to talk to. They will be delighted to be able to spend the time with you that you deserve. The second-home building sector is booming in some parts of the Costa Blanca and the Costa del Sol. Because of this, new developments on portals and agency websites may go escape your attention among so many options. It’s easy not to notice developments that might be just what you are looking for, simply because the photo did not attract your attention. Getting face-to-face advice from agency professionals in situ may reveal that there are even more options available to you than you thought. Another aspect to bear in mind is that there are small developments consisting of just a few units which, despite meeting all the legal requirements, do not invest in achieving a high online profile. This could be the perfect moment for showing them to a more select audience looking for something special. What’s more, if you are looking for something in a “typically Spanish” area, the ads are probably only targeted to the national audience in Spain. Property exhibitions are full of real estate experts. The professionals there are sure to have answers to all your questions. If you’ve just started to think about buying and are gathering initial information, there are also general options to help you to get an idea of what is involved. Property exhibitions often include seminars, talks and conferences on matters related to buying property, residency requirements and other interesting, useful aspects. They are often given by lawyers specialising in the property world. It’s natural to search for properties in areas where you have spent time on holiday, or which people have recommended. However, Spain’s coasts are brimming with incredible spots (some with rather complicated names) that you may never have heard of. For example, the Costa Blanca is 100 kilometres long and has more than 50 different towns, each with its own personality. Of course, you need to find out how you feel about these locations by visiting them yourself, but some good advice in your home country from a local expert will guide you towards new options to explore. Plan your next trip and save time. By making use of all the above, you will be able to make the most of your next trip and save time asking questions and finding things out. You are sure to get a clearer vision of the type of home you are after, and a better idea of where you would like it to be. Not all types of home are available in all towns, and the types of community and services available differ from place to place, too. Stay in contact with your agent in Spain after the exhibition, and they’ll make things easier for you. Your agent will spend time gathering information to find you what you want. He’ll do the groundwork and select the best properties for you. Agents are also in a position to check out legal aspects to make sure that the process is smooth. All this means less time viewing homes, and more time enjoying the sunshine during your house-buying trip. You normally have to pay to attend high-quality property exhibitions. However, exhibitors (real estate agents and developers) have free invitations for their clients. Some exhibitions only feature Spain, while others show properties from several countries. Going to these events might be a good idea because you will get a broader overview. However, we recommend you try to narrow down the area and country you are interested in.